David Needham received his PhD in Marine Biology and Biological Oceanography from the University of Southern California. 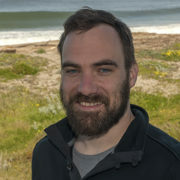 David conducted a postdoctoral fellowship at USC before coming to MBARI. David works with Alex Worden’s group.